The team in our Art department are extremely knowledgeable and able to advise extensively on a huge range of merchandise. We stock a comprehensive selection of art products from well-known brands such as Winsor and Newton, Daler Rowney, Faber Castell and Derwent. 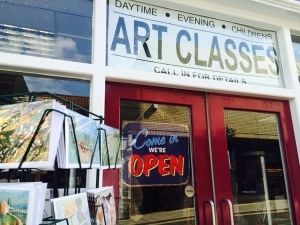 We cater for every age and ability, whether you’re a professional artist, aspiring student, or a just-for-fun hobbyist, we’re sure to have just what you need. Interested in taking an art class? We offer those too! Find our timetable here. Whether you’re looking to find a new hobby, already a keen crafter, or just searching for some inspiration- our Craft department is the perfect place for you, and we have something for all ages! 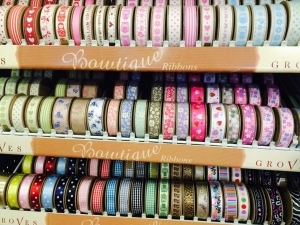 We stock everything from haberdashery to card making materials, and our impressive range of Décopatch products is sure to get anyone feeling creative. We are also your number one destination for craft classes, with at least one children’s class running every month throughout the year! Hosted by Denny Bros, run by The Crafty Foxes. Find this year’s schedule here. Stationery has long been at the core of our business and we have something to suit every need. We are stockists of high end brands such as Parker, Cross and Sheaffer, along with an extensive range of other well known brands such as Staedtler, Pilot and Stabilo. We stock a wide range of filing solutions, office supplies, paper/envelopes, postage and packaging supplies, greetings cards, and much more. If you can’t find what you’re looking for in our store, ask a member of the Stationery team to access our catalogue of products available for next day delivery. 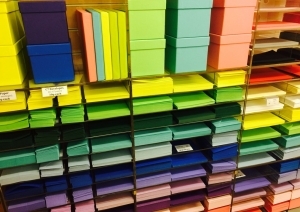 Buying stationery for a business? Contact our commercial sales representative on: 07951047758. Staff in our printing department have extensive digital and reprographic knowledge and expertise. We provide a variety of services, such as: photocopying, printing, scanning, image enlargement/reduction, architectural plan printing, document binding and laminating. 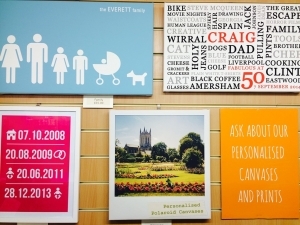 We produce photo quality prints and canvases up to A0 size and our digital specialists can create and print a range of personalised products, including: business cards, invitations, change of address cards, leaflets, wedding stationery and greetings cards. Call, email, or drop into our store to get a quote or place an order. All framing is completed in-house in our workshop by our extremely skilled and experienced Fine Art Trade Guild qualified Picture Framers. As well as bespoke framing, we also offer a mount cutting service, and are stockists of a wealth of ready-made picture frames. We can provide advice and no-obligation quotes, so even if you are unsure of exactly what you’re looking for, we will be more than happy to help. 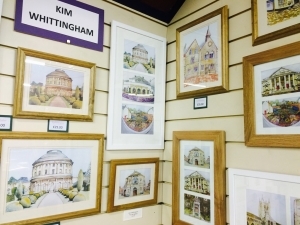 Also located upstairs in our Framing department is a gallery exhibiting the work of local artists, including original paintings, prints, greetings cards and a selection of handmade silver jewellery. To enquire about exhibiting in our gallery please contact Maureen Denny on: 01284 761172.